Oxford Town Hall is located at 101 Market Street, Oxford, MD 21654; phone: 410-226-5122. Photo: Barnaby House, ca. 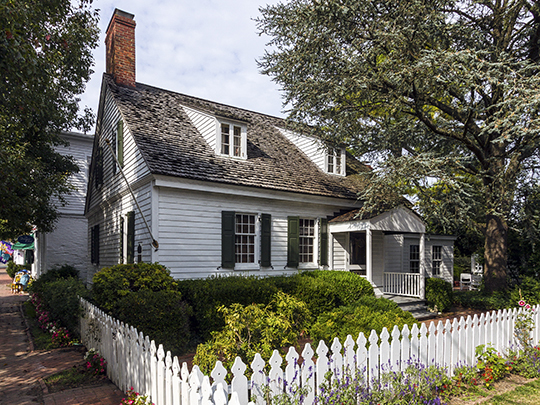 1770, 212 North Morris Street, Oxford, MD. Listed on the National Register of Historic Places in 1992. Photographed by User:Acroterion (own work), 2012, [cc-by-3.0 (creativecommons.org/licenses/by/3.0)], via Wikimedia Commons, accessed March, 2017. Oxford is the oldest town in Talbot County, and is one of the oldest towns in Maryland. Although already in existence for many years, Oxford marks the year 1683 as its official founding, for in that year Oxford was first named by the Maryland General Assembly as a seaport and was formally laid out as a town. In 1694, Oxford and a new town called Anne Arundel (now Annapolis) were selected the only ports of entry for the entire Maryland province. By 1664, Oxford had 100 lots platted, and the first Commissioners were selected. Early citizens included Robert Morris, Sr., agent for a Liverpool shipping firm who greatly influenced the Town's growth; his son, Robert Morris Jr., known as "the financier of the Revolution;" Jeremiah Banning, sea captain, war hero and statesman; The Reverend Thomas Bacon, Anglican clergyman who wrote the first compilation of the laws of Maryland; Matthew Tilghman, known as the "patriarch of Maryland" and "father of statehood" and Colonel Tench Tilghman, aide-de-camp to George Washington and the man who carried the message of Cornwallis' surrender to the Continental Congress in Philadelphia. Until the American Revolution, Oxford enjoyed prominence as an international shipping center surrounded by wealthy tobacco plantations. Oxford grew steadily until 1750 as a major port for the export of tobacco, wheat, and timber products and the import of slaves and English goods. The importance of the tobacco industry declined for the remainder of the 18th century, and by the time of the Revolution, Oxford's commerce had declined greatly, dependent as it had been on trade with England. As Oxford's port activity declined, Baltimore rose as the principal seaport of the State. Oxford's economy maintained itself until the Civil Way primarily through its basic seafood industry and activity in its ship building yards. With the arrival of the railroad in 1871, the Pier Streets docks developed into a major commercial area, beginning more than a half-century of prosperity for the Town. In the late nineteenth century, two passenger trains and two freights daily used the Oxford terminal, which served as an overnight stop for the railroad crew. Many of the boatyards existing today were established during this period. By this time, Oxford was a town of about 1,100 people. The Kuhner Engine Company was located on the southwest corner of Pier Street and Morris Street and manufactured small diesel engines during World War I. The years between the first World Way and the Depression were good to the seafood industry in Oxford. Pound-net fishing supported many families. Canning houses and packing houses for oysters and crabs crowded Pier Street. Estimates of the wintertime peak population range from 1,000 to over 1,600 for periods during the early twentieth century. The Great Depression of the 1930s signaled the end of an era for Oxford. The highway and automobile shifted the population center of the county eastward, and many watermen left the ouster and crab industry when the market declined for these luxury foods. The Oxford High School closed its doors in 1938. Always a popular retirement community with its river front orientation and comfortable historic houses, Oxford became more accessible to recreation-minded western shore residents with the opening of the first Chesapeake Bay Bridge in 1952. The railroad line was abandoned in the late 1950s. First a seaport, later a seafood and agricultural center, Oxford's vitality now relies upon its popularity as a sailing and boating center, and a residential community with a significant retired population. The same boatyards that built the sturdy skipjacks and bug-eyes of the early 1900s now build and maintain high quality yachts for recreational use. Town of Oxford 2010 Comprehensive Plan, www.oxfordmd.net, accessed March, 2017.